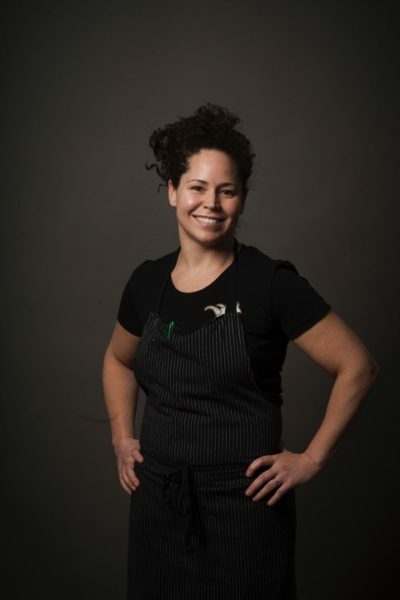 Stephanie Izard was born in Chicago and grew up in the Connecticut suburbs of New York City loving food, but not initially considering it as a career. That changed when she graduated from University of Michigan in 1998 uncertain about her career path, and her father encouraged her to give culinary school a try. Over the past 17 years, the Chicago and national food scenes have owed Stephanie’s dad their gratitude. After receiving a diploma from Arizona’s Scottsdale Culinary Institute, Stephanie moved to Chicago, learned her craft working for leading chefs — and opened Scylla, her first restaurant, in the city’s Bucktown neighborhood when she was just 27. Her star’s fast rise was accelerated when (in 2008) she became the first woman to win on the Bravo network’s Top Chef show and was also voted a fan favorite, a prelude to bigger awards to come. 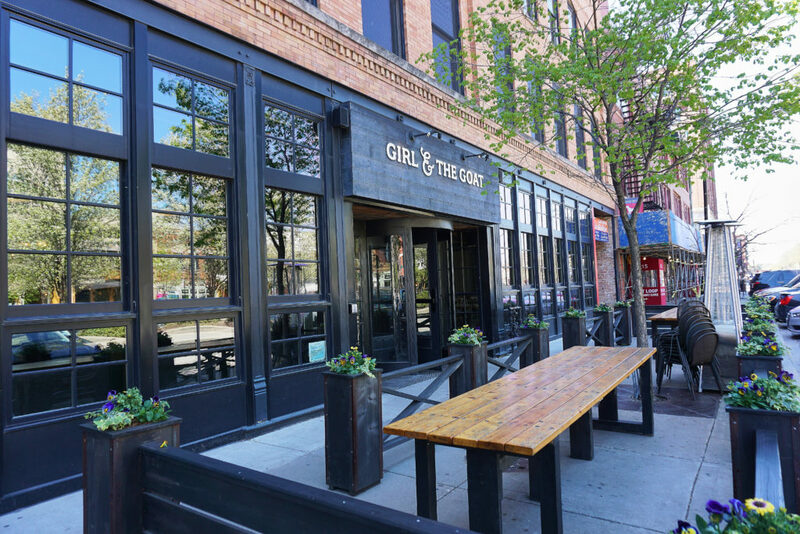 Partnering with Chicago’s influential BOKA restaurant group, her critically acclaimed Girl & The Goat restaurant, on the city’s burgeoning West Loop “Restaurant Row,” was nominated for the James Beard Foundation Best New Restaurant award in 2011 and earned Stephanie the James Beard Best Chef Great Lakes award in 2013. By the time she got to wear that medallion, she had already launched the Little Goat Diner — chef-driven comfort food — and the Little Goat Bread bakery across Randolph Street from Girl & The Goat. 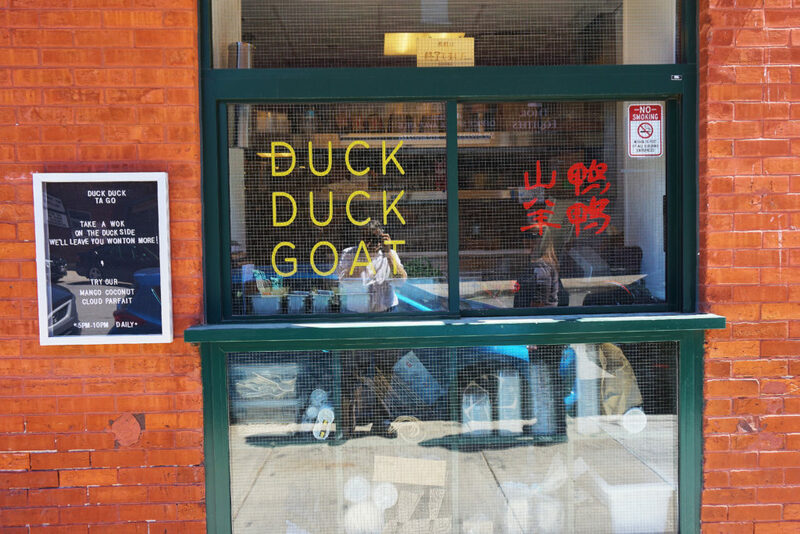 Her latest entry, Duck Duck Goat, is her tribute to Chinese cuisine, located a couple of blocks north on Fulton Market Street — the longtime heart of the city’s meatpacking district until a very recent surge of restaurant and tech industry growth. As though not busy enough, Stephanie is developing a food/lifestyle/travel quarterly magazine called “goat fish.” And Gary Valentine, her husband, is a craft beer consultant who with 18th Street Brewery in nearby Hammond, Indiana created a recently released brew called The Fox & The Goat. Stephanie also has managed to succeed with her trademark “goat” theme even though superstitious Chicago Cubs fans believed for decades — until last year’s World Championship season — that their team labored under a “Billy Goat curse” (it’s a long story). Although goat actually is a featured item on her restaurants’ menus, the goat idea originated from her family surname. You’ll have to read the following q-and-a to find out what that means. 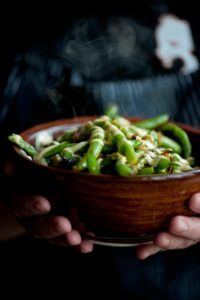 Sauteed green beans from Stephanie Izard’s Girl & The Goat. Photo provided by Stephanie Izard. Stephanie is part of the all-star lineup of chefs participating in the Frontera 30th Anniversary Celebration this Sunday (April 30) at The Art Institute of Chicago. The event marks Chef Rick Bayless‘ culinary achievements since opening his landmark Frontera Grill in 1987, and is a joint fundraiser to provide resources to his Frontera Farmer Foundation and to FamilyFarmed to expand their efforts to build a better food system. There is also an online silent auction in which everyone (attending or not) can participate, and Stephanie has generously donated a Goat Hop, which will treat the winner to delicious bites and drinks at each of her three restaurants. Click here to learn about all the great prizes — and bid! FamilyFarmed: The chefs we have interviewed for this series have come to their culinary careers from a variety of directions. Was food always a passion for you or did the passion develop over time? Stephanie: It was always a passion of mine, but I did not decide to go to culinary school until I realized that nothing in college interested me as much as food. I just could not figure out what I wanted to do… then my dad suggested culinary school because he knew I loved to cook. Good idea, dad! FamilyFarmed: The shifts to Chicago gaining international regard as a culinary capital, and to chefs sourcing higher-quality sustainable and local ingredients, were under way when you started your career, but much as changed over 17 years. What do you believe are the most important changes you have seen? Stephanie: I think the guests in Chicago restaurants have changed along with the chefs… Some chefs started using more local ingredients and responsibly raised foods and informing their guests more about where food comes from. In turn, that made the guests expect that quality of food from all of the restaurants they visit. 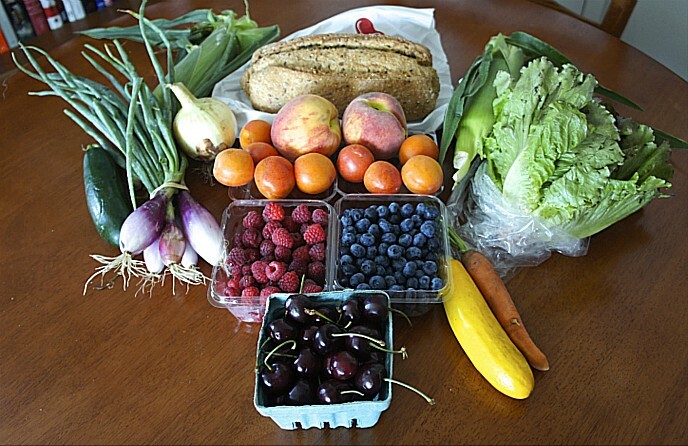 FamilyFarmed: A lot of what we’ve discussed with chefs is focused on the entrepreneurial aspect. At what point in your career did you determine that you wanted to be a restaurateur yourself, and how did Girl & The Goat develop from that? Stephanie: I opened Scylla when I was 27. I was a sous chef at La Tache bistro at the time and one of the cooks said, “You’re really good at this, you should just open your own restaurant.” I thought, O.K.! So I quit my job the next week and Scylla opened about a year later. FamilyFarmed: You have since expanded to two very different projects, Little Goat Diner and Duck Duck Goat. Please share how these concepts evolved. Stephanie: Little Goat came to be because I wanted to move our bakers, who were baking fresh bread at Girl & the Goat since opening, into their own space. I thought we could get a tiny space, hence the little in Little Goat, and have a bakery with a little 12-seat breakfast spot. 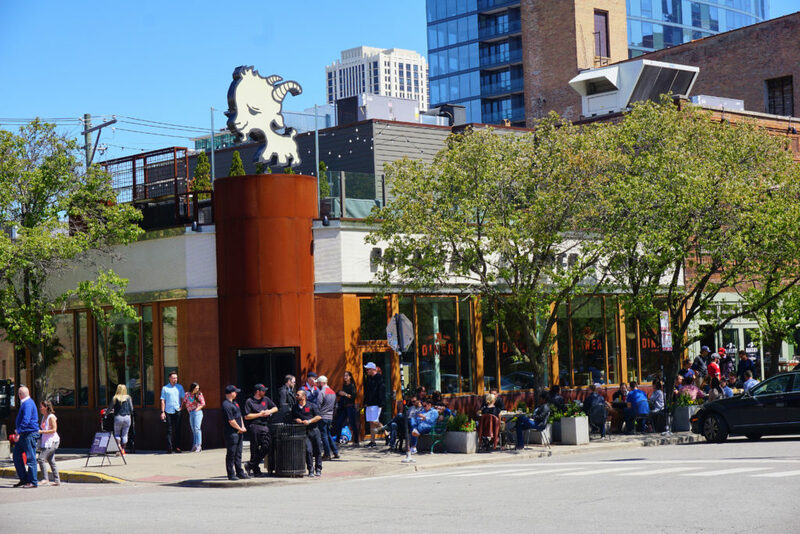 But then the red-light space (at the corner of Randolph and Green streets) became available, and the little goat turned into the super-sized goat. Duck Duck Goat came to be after cooking a Sunday supper in the private dining space over Little Goat. We just had so much fun and loved the food that I approached my partners about a Chinese concept, which they were equally excited about! FamilyFarmed: I have heard you explain how the “goat” theme came about (as recently as April 8 on CBS Saturday Morning), but could you share it with our readers here? Stephanie: My last name is a type of goat in French. The izard is a goat-antelope that lives in the Pyrenees Mountains. After having a restaurant like Scylla, which no one could pronounce, it seemed like goat (a simple four-letter word) would be a fun word to work into the name! Since then the goat has taken on a life of its own. FamilyFarmed: You and [husband] Gary together cover the landscape of two of the biggest food trends of the day: the rise of a chef-driven food culture and the rise of the craft beer sector. I just learned that you two have created The Fox & The Goat beer with 18th Street Brewery! Is this a one-off for you or this a new direction of which we’ll be seeing more? Stephanie: I cannot take any credit for the beer! Gary and Drew Fox [owner and head brewer at 18th Street Brewery] created it, though I know Gary had my love of citra hops in mind. I think this beer is very different than the beers being created in a more culinary approach… no fruit or cooking spices or anything used. It is a simply delicious IPA that GOES with food instead of being made with it. Gary is a fan of beer that is just simply good and can go alongside any of the dishes at the Goats. 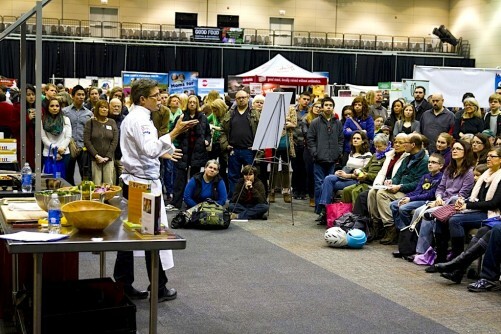 FamilyFarmed: Finally, please share your thoughts about Rick Bayless’ impact on the Chicago (and national) culinary scenes and what personal impact he may have had on your career. Stephanie: Rick helped put Chicago [food] on the map and has done amazing things in and out of the restaurants. I have a lot of admiration for him and his work, and hope to accomplish similar things with my product line and TV opportunities! This entry was posted in Awards, Farm to table dining, Food Artisans, Food Entrepreneurs, Frontera 30th Anniversary Celebration, Frontera Farmer Foundation, Good Food business development, Good Food Dining, Good Food restaurant trends, Good Food Success Stories, James Beard Foundation Awards, Restaurants and Good Food, Sustainable dining and tagged 18th Street Brewery, BOKA restaurant group, Duck Duck Goat Chicago, FamilyFarmed, Frontera 30th Anniversary Celebration, Frontera Farmer Foundation, Frontera Grill, Gary Valentine and craft beer, Girl & The Goat Chicago, Little Goat Diner Chicago, Rick Bayless, Scylla restaurant Chicago, Stephanie Izard, Top Chef TV show. Bookmark the permalink.